Throughout the course of time, mankind believed in the supernatural. Immortality, gods, spirits, angels, God, and religion. Different people have their own beliefs. But however different the beliefs are, it all comes down to one common belief-a belief in a powerful, supernatural being. In my travels, I have encountered a lot of people with different set of beliefs. And have witnessed how man will go to great extent to worship God by building infrastructures for worship. I marvel how these infrastructures were greatly put up-for the sole purpose of worshiping God/the gods. From Asia to Europe-these are the famous houses of worship I have encountered-which were intricately and amazingly built. Out of these 13 houses of worships, 4 are UNESCO World Heritage Sites. Aside from their religious and cultural significance, they are famous because of their beauty, age, and how they were built. I first visited this beautiful cathedral in 2005 and visited it again in 2006. It was built in the burial site of Saint Olaf in the Norwegian city of Trondheim. Its architectural style is Romanesque and Gothic and is the traditional location of the consecration of the king of Norway. It was built in 1070-1300. Located near the border between France and Germany is a charming city called Strasbourg. It has a beautiful cathedral which we first visited in 2005. 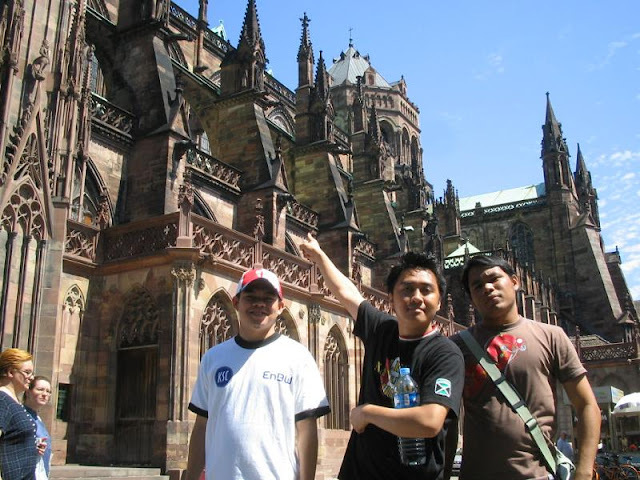 In 2006, we, the Philippine San Beda Male Singers sang inside the church. The acoustic was so marvelous. We sang Randall Thompson's Alleluia, transcribed by Robert Delgado to TTBB. As we were singing, lots of tourists flocked in to listen. It was an amazing experience. Its architecture is Gothic, although some parts are Romanesque. It was built in 1176-1439. This cathedral is part of Strasbourg Grand Ile, A UNESCO World Heritage site. I was amazed by this gold-covered stupa at the center of Vientiane in 2010. Its golden walls, peaceful environment, and statues make it so amazing. Don't miss this Buddhist temple when you are in Vientiane. It was originally built as a Hindu temple in the 3rd century, but eventually became a Buddhist temple because of the efforts of Buddhist missionaries from the Mauryan empire sent by emperor Ashoka. Its architecture is based on Lao culture and identity. According to Wikipedia, It's regarded as the most important national monument in Laos and is a national symbol. The largest religious infrastructure in the world, the grandest and most amazing man-made structure I have ever seen. I had my first glimpse of this UNESCO World Heritage site in 2011. It was built by King Suyavarman II of the Khmer empire in the 12th century. Its architectural style is Khmer and Dravidian. 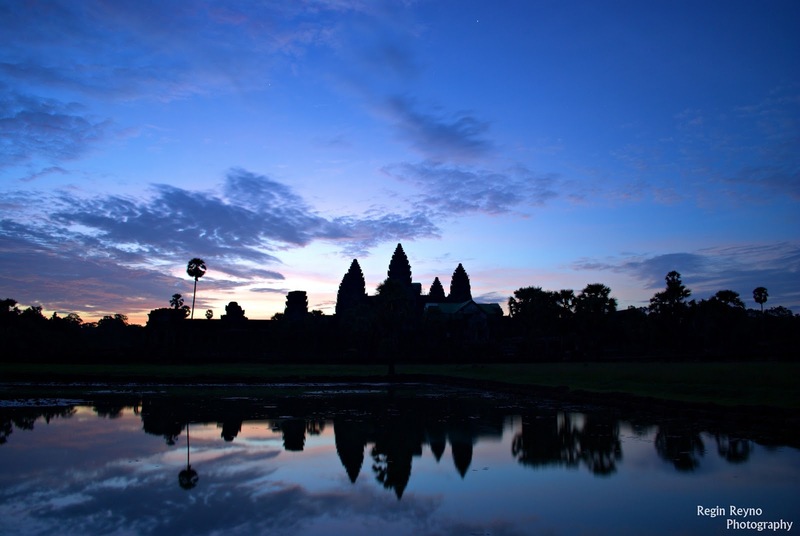 I'll say you MUST visit Angkor Wat before you die. If Paris has a Notre-Dame Cathedral, so as Saigon. It is so beautiful. Lots of couples were having pre-nup photo shoots when we visited this place. It's beauty and majesty is jaw-dropping. 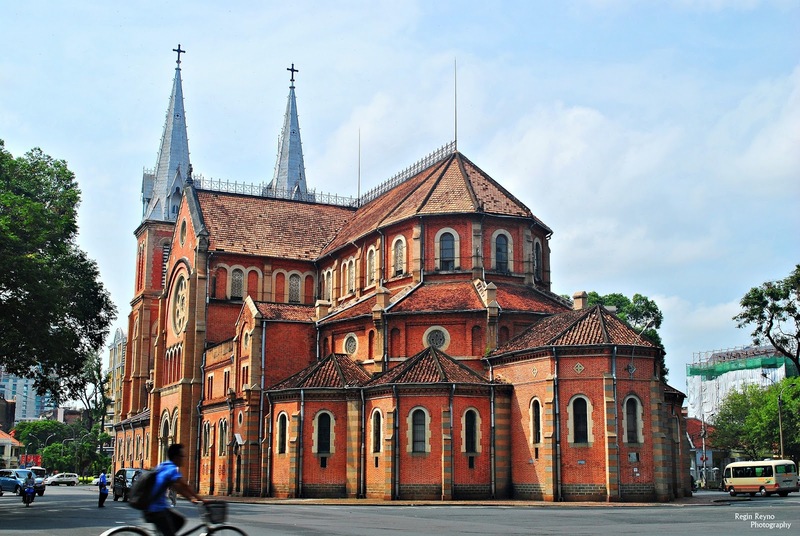 Located in downtown Saigon, this cathedral was built in 1863-1860, with materials imported from France. The outside bricks are from the city of Marseille. 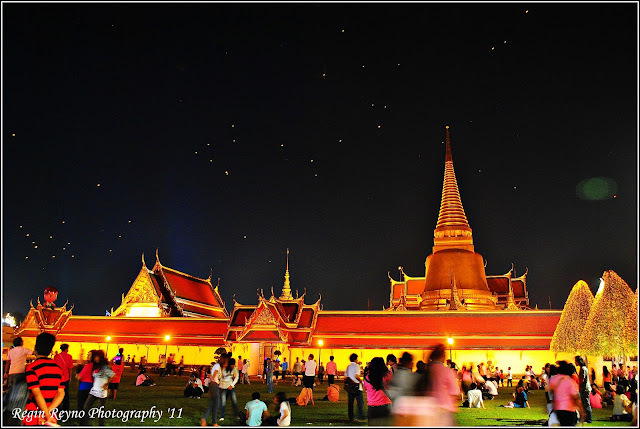 Wat Phra Kaew or Temple of the Emerald Buddha in English, is the most sacred Buddhist temple in Thailand. It is located inside the Grand Palace compounds-where Kings of Thailand used to live. Its main building houses the statue of the Emerald Buddha. The architectural style is called Rattanokisin style or old Bangkok style. 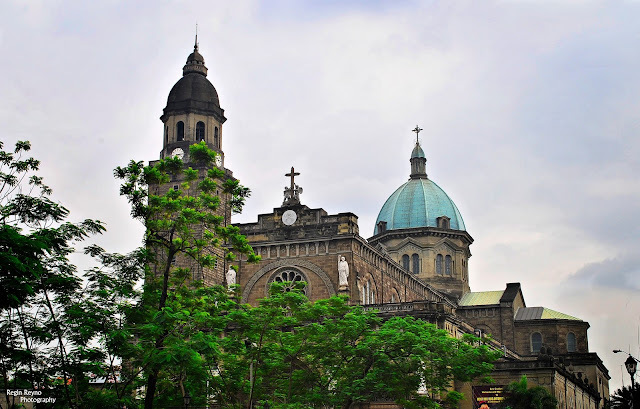 One of the most famous and most beautiful churches in the Philippines, it was built during the Spanish occupation of the Philippines in the city of Manila in 1571. Miguel Lopez de Legazpi chose the location of the church. The architectural style is Neo-Romanesque. I first visited this church in 2012, when we had a tour in Intramuros. 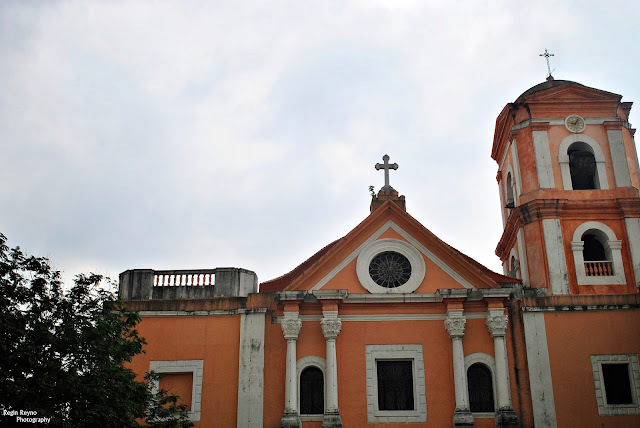 A UNESCO World Heritage site, this church is one of the four Baroque churches of the Philippines. It is Located inside the walls of Intramuros. Obviously, its architectural style is Baroque. The largest single Buddhist temple in the world, Borobudur is a must-visit temple in Indonesia. I was amazed by its beauty and location. Early in the morning, it's nice to relax and meditate overlooking Mt. Merapi. 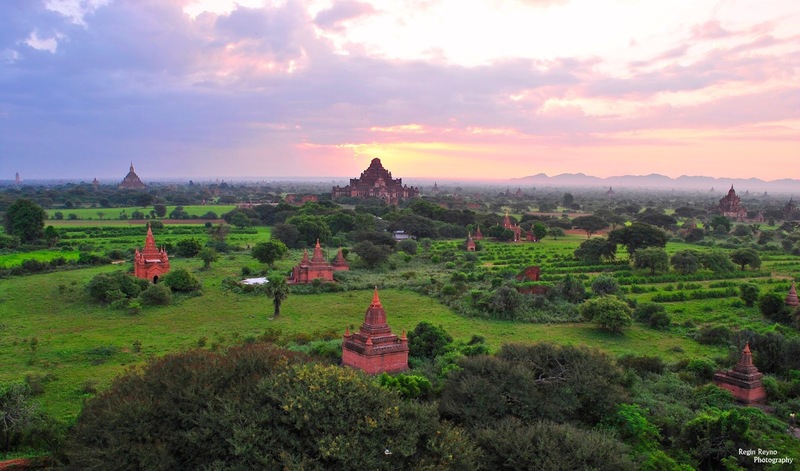 Its architectural style is Stupa and Candi. It was built in the 9th century 265 meters above sea level. It is a UNESCO World Heritage site. I remember when I was still a kid, we had a book at home which has a picture of Shwedagon pagoda. It was so huge and beautiful that I dreamed of seeing that temple someday. In October 2012, that dream became a reality. I was face to face with one of Asia's most majestic religious infrastructure. A 99 meter pagoda covered with real gold. It contains relics such as the 8 strands of hairs of Gautama Siddhartha, or Buddha. At 2,500 years old, it is the oldest historical pagoda in the world. 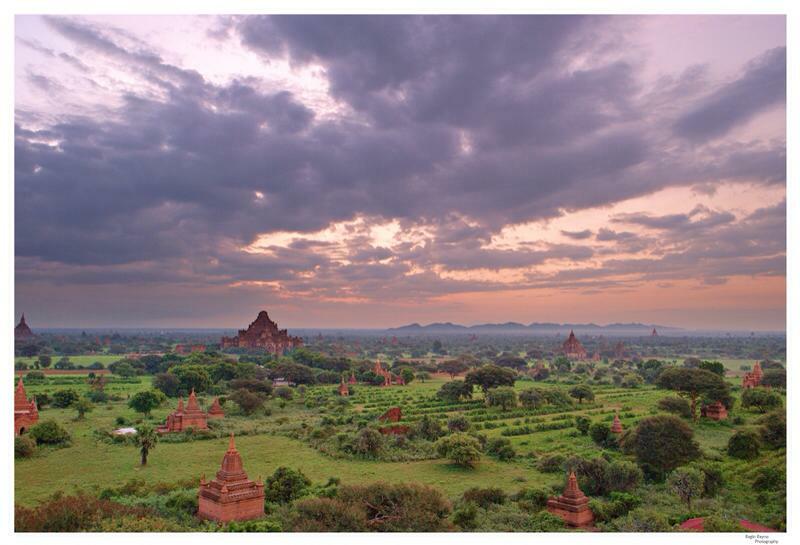 Located in the Mandalay region of Burma, on the banks of Irrawaddy river is the ancient kingdom of Bagan. And in this kingdom lies many thousand temples. In the 7th to 13th century when it was built, it contained 10,000 temples-2,800 remained up to this time. That's a lot! I was there in October, and witnessed the sunrise over the thousand temples atop one of the bigger temples. It was spectacular. For me, it is one of the few temples in Asia that can come close to matching Angkor Wat's awesomeness. Approaching the city of Nakhon Pathom in Nakhon Pathom province, you' will notice a big orange stupa. It is the tallest stupa in the world with the height of 127 meters (417 ft.) It was first built in 539 AD and was later rebuilt in 1870-making it the oldest Buddhist monument in Thailand. The chedi was modelled after the great stupa of Sanchi in Central India. It is one of the most important Buddhist places in Thailand because it contains some relics of Buddha. It is a wonderful site to behold especially if you are at a distance, slowly approaching it. Its height towers the small city of Nakhon Pathom. 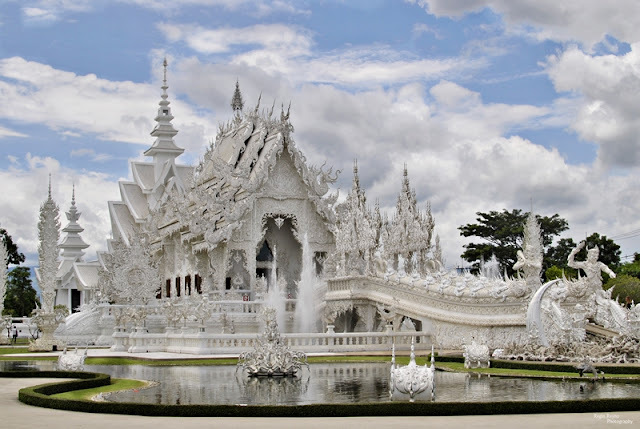 In Chiang Rai, Thailand lies a temple designed by Chalermchai Kositpipat, a Thai national artist. It is not you usual temple scenes in Thailand. It is unusual because of its white color with glass and golden markings, fantastical, sci-fi look and unusual designs. It is one of the most unusual Buddhist temple ever built. Because of these, it became an attraction to both locals and foreigners. Since the beginning of its construction in 1997, it has been already visited by 6 million people (300, 000 by foreigners). It's truly a masterpiece of Chalermchai. "It was my strong intention to build a temple in imitation of heaven. I wanted it to be a heaven on earth. I am blessed to encounter these famous houses of worship, and made me realize man's need for God-throughout history. Which house of worship impressed you the most? I love temples/old churches and the like! So many stories untold! nice shots Reg! Great post do! 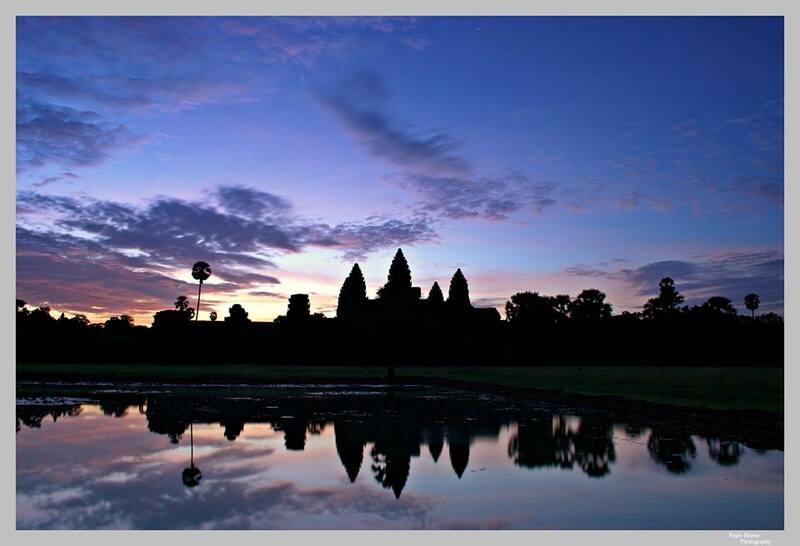 You have already visited many UNESCO World Heritage Sites.. I wish to explore Bagan and Borobudur. Yah, Let's visit all the UNESCO Heritage Sites here in Thailand.